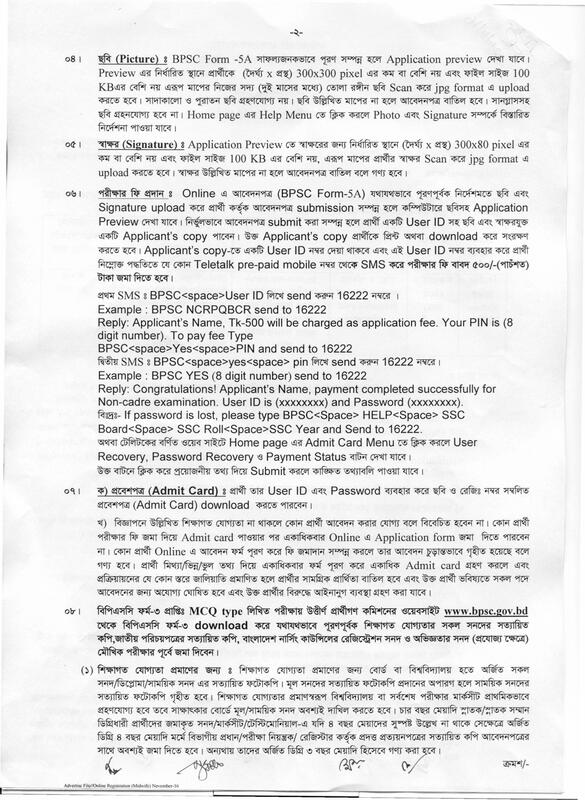 BPSC Non Cadre Job Circular 2016 – www.bpsc.gov.bd. Bangladesh Public Service Commission or BPSC has been published Non Cadre Job Circular at Official website www.bpsc.gov.bd. This job is Different Ministry BPSC.GOV.BD Non Cadre Job Circular available now at www.allexamresultbd.com. The Job Application Online process start 11th November, 2016 and continue up to 15th December, 2016. BPSC.GOV.BD Non Cadre Job Circular serial no 59-95. ■ Job Description: See the Circular. ■ Compensation and Benefit: See Job Advertisement. Bangladesh Public Service Commission (BPSC) published a new job circular. BPSC total recruiting this vacant post are three thousand six hundred sixteen (3616). 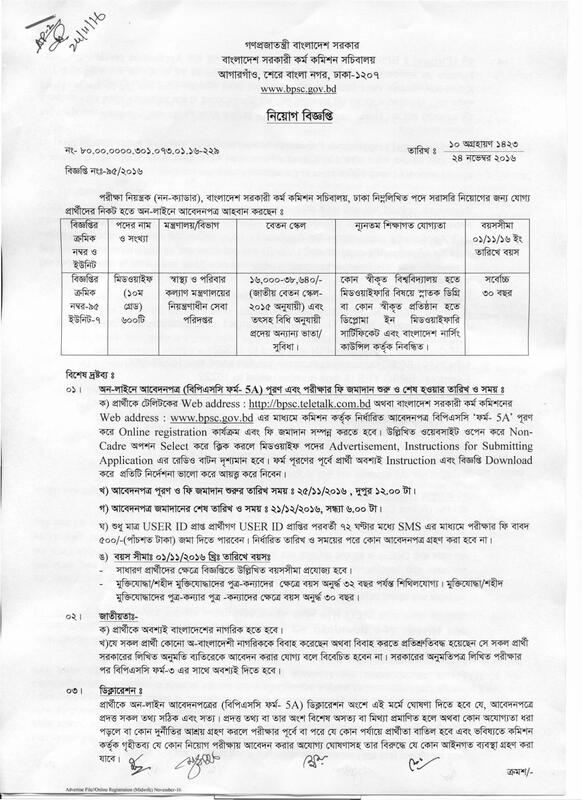 Bangladesh Public Service Commission (BPSC) non cadre job is only eligible female applicant. Bangladesh Public Service Commission (BPSC) are recruiting Senior Staff Nurse under the Ministry of Health and Family Welfare now Admit Card Download and MCQ exam held on 3rd June, 2016.